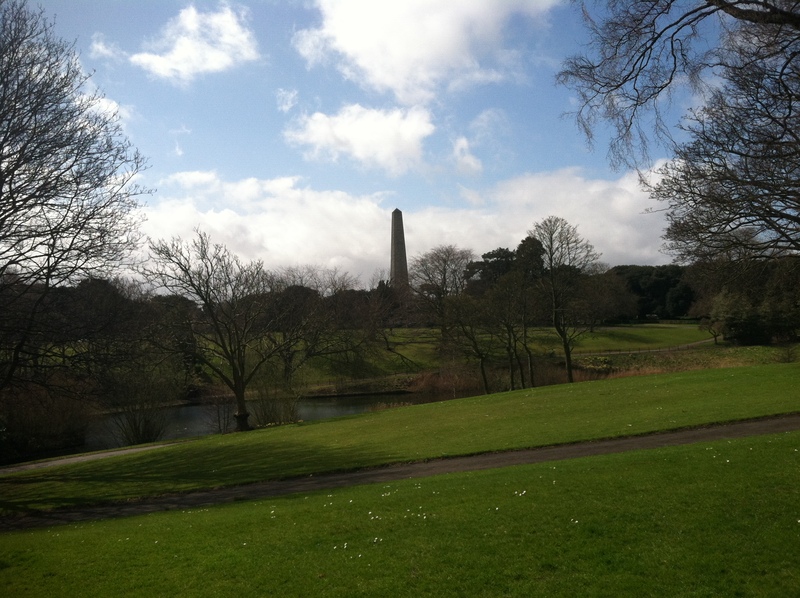 It has been… well, I won’t say it’s been nice weather lately, but it’s been in the 50s and sunny more often than not, and that means we need to leave the house and enjoy what little Vitamin D we can grab with our fragile, translucent skin. 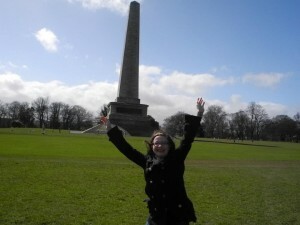 And that means a trip to Phoenix Park! 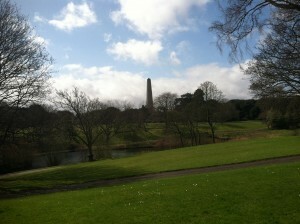 Phoenix Park is a huge green space located in Northwest Dublin City. It’s around 1700 acres, and it’s actually been a home to a herd of wild deer since the 17th century; that’s how big it is. 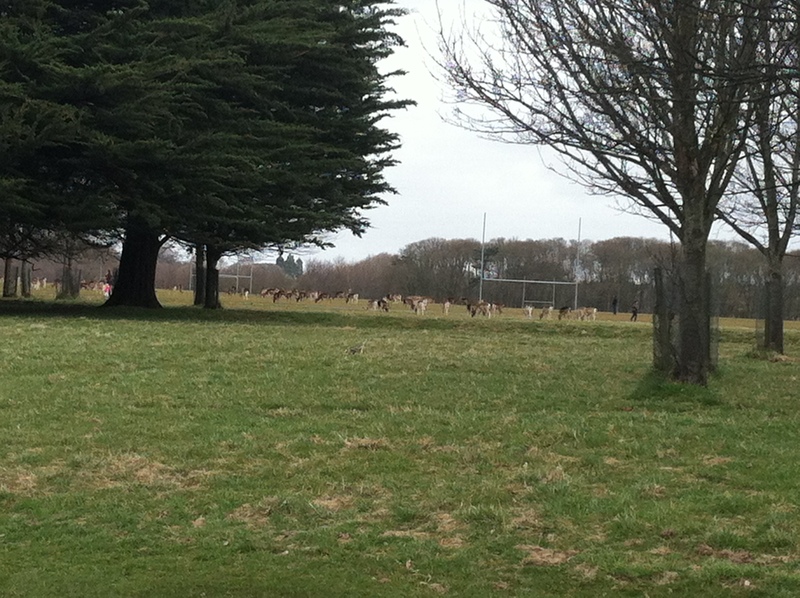 The deer are very hard to see, but I promise they’re moseying around in that picture. There is a huge obelisk in the park, too. 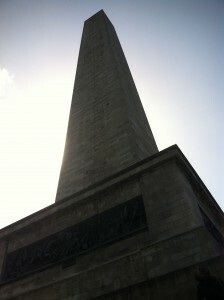 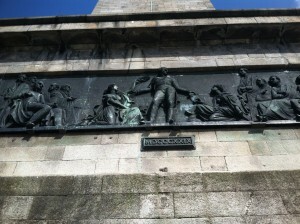 It’s called the Wellington Monument and is the tallest obelisk in Europe. It’s commemorating the Duke of Wellington’s military successes, and there are four bronze plaques around it that were made by melting down cannons from the Battle of Waterloo. It looked like it would be fun to climb around on, but unfortunately all the blue sky and fluffy clouds were hiding the terrible fact that it was windy as all get out. My friend and I rented bikes to explore the park more quickly (side note: my bike had a bell) and I was almost blown over a few times! 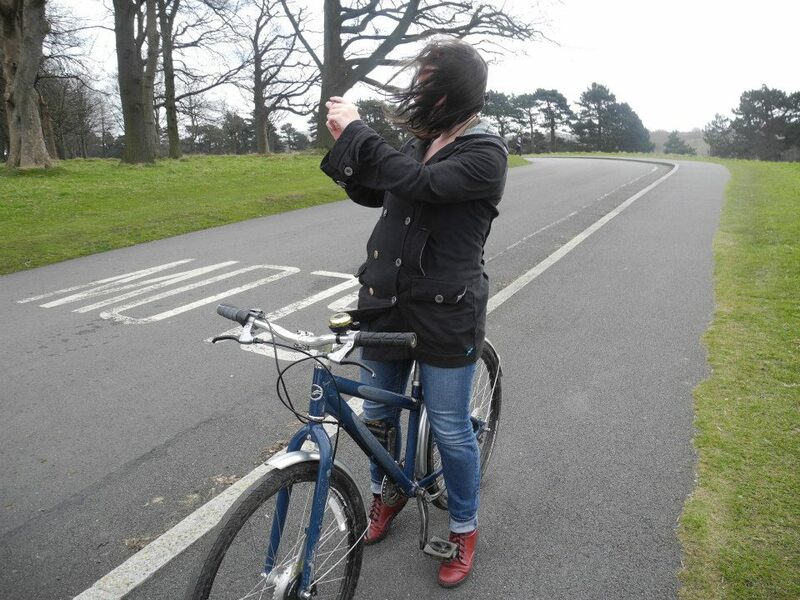 It was a very good day to frolic, though.